A major concert featuring a 4,000+ strong choir (that's four THOUSAND - not a misprint) will take place at the O2 Arena on January 28th. 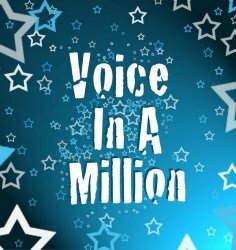 In association with Tickets for Troops, the Voice in a Million Choir (along with London-based choir Spirit) will perform an array of spectacular vocal epics including a musical journey through a child's adoption. The choir will be made up of several thousand children from various TV reality shows and top-class choirs from across the country and will represent the estimated number of children in need of adoption. Tickets range from £22.50 to £33.25. However, if you are a member of our armed forces and have experienced injuries so bad that have resulted in you being medically discharged since 2001, then you qualify for free tickets. You will need to provide proof at Tickets for Troops (www.ticketsfortroops.org.uk) and register beforehand. There are 1,000 courtesy tickets available. The concert has been endorsed by several personalities including Joanna Lumley, Elton John and Nicky Campbell, the latter also providing narration (with Rick Wakeman and Sinitta) on the night. The London Voice in a Million concert is the first of many worldwide events planned to raise awareness of the need to consider adopting children, with recently announced UK dates for Nottingham (Trent FM Arena) and Newcastle (Metro Radio Arena). If you are involved in a UK childrens' choir and fancy getting involved, pop along to: www.voiceinamillion.com to find out how.